We’re happy to announce the release of the Loupe Bookmarklet. 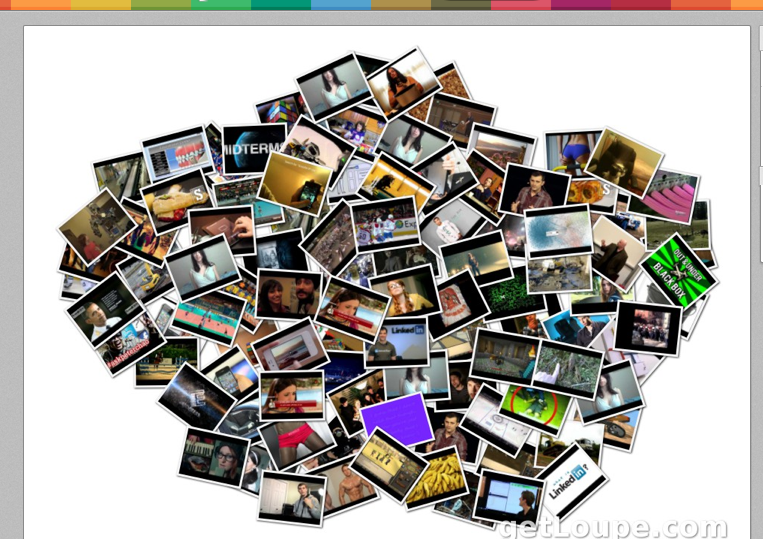 When you scroll or hove-over an image, you can get a larger preview of the image. If you click on the image, it will go to the Pinterest page that the image came from (or is linked to). Pretty cool right? What happens if you make a collage out of videos? Now scroll over the screenshots from each video and what do you see? Now click one of the screenshots and where does it take you? Pretty cool right? What are you waiting for? 2. 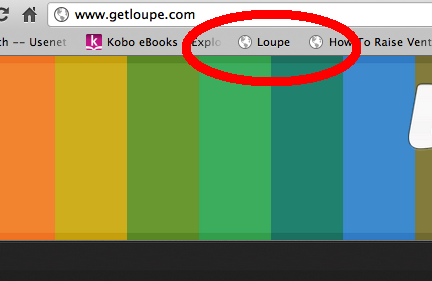 Click here to get your Loupe Bookmarklet! 3. Go to any website with images. It could be your favorite blog, Pinterest board, Tumblr or search for the images you want. 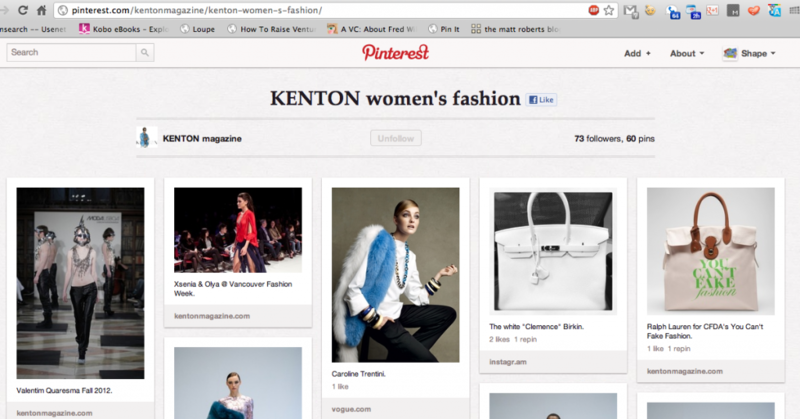 For example, here is KENTON’s Pinterest board. To grab the images from this page, click “Loupe” on your Bookmarks Bar. 4. Once you click on the link, you will automatically be brought to Loupe’s dashboard where the images are available for your collage. You can continue making your collage like you would usually. ps. We have an exciting promotion in our next newsletter. If you’re not signed up, sign up for the Shape Collage Newsletter here.